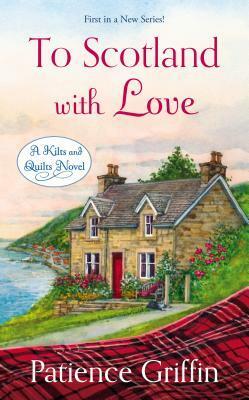 Today I'm featuring To Scotland with Love by Patience Griffin, borrowed from the library. Cait Macleod frowned as the taillights of her taxi sped off into the night. She was standing in a deserted parking lot on the northeast coast of Scotland in the middle of December. All alone. Not new for her, but it sucked all the same. Page 56: "As if Cait had dunked her head into hot bubbling stew, heat flooded into her face. Did they find out about People magazine and what's written in my notebook?" My thoughts: While attending this year's Romance Writers of America Librarians Day in July, I was drawn to a particular author during the Literacy Autographing session. What made this author stand out among the many, many writers was her outfit. Ms. Griffin was decked out in tartan and a jaunty tam, and I couldn't resist going over to speak with her. That's when I learned about the Kilts and Quilts series, set in Scotland. I purchased the second novel in the series, Meet Me in Scotland, which she autographed for me. 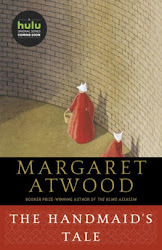 Since I have a thing about starting a series from the beginning, I borrowed book #1 from the library, and am enjoying the setting and characters. It brings back memories of summer childhood visits to my Scottish grandmother who lived nearly her entire life in Glasgow. Caitriona Macleod gave up her career as an investigative reporter for the role of perfect wife. But after her husband is found dead in his mistress’s bed, a devastated Cait leaves Chicago for the birthplace she hasn’t seen since she was a child. She’s hoping to heal and to reconnect with her gran. The last thing she expects to find in Gandiegow is the Sexiest Man Alive! She just may have stumbled on the ticket to reigniting her career—if her heart doesn’t get in the way. Graham Buchanan is a movie star with many secrets. A Gandiegow native, he frequently hides out in his hometown between films. He also has a son he’ll do anything to protect. But Cait Macleod is too damn appealing—even if she is a journalist. Quilting with her gran and the other women of the village brings Cait a peace she hasn’t known in years. But if she turns in the story about Graham, Gandiegow will never forgive her for betraying one of its own. Should she suffer the consequences to resurrect her career? Or listen to her battered and bruised heart and give love another chance? Friday Focus: The Friday 56 & Book Beginnings #97 was originally published by Catherine for bookclublibrarian.com. This post cannot be republished without attribution. Retweeting and sharing on Google+ are encouraged and appreciated.